What began in urban spaces in the United States has now expanded to become the biggest urban team sport in the world. We are, of course, talking about 3x3 basketball. This dynamic, spectacular, urban and innovative form of basketball has over 250 million players worldwide! It is even included as a discipline at the 2020 Olympic Games! 3x3 basketball is played both indoors and outdoors. A big advantage is that 3x3 basketball is a very accessible sport. It can be played by anyone (men, women, boys, girls, able-bodied, disabled) both on a recreational and professional level. The Fiba 3x3 rules and required capacities are also very low-threshold. All you need to play 3x3 basketball is 1 basket, 2 teams and 3 players per team on a half basketball court. It couldn't be easier! The official 3 on 3 basketball competitions last 10 minutes or end when a team has scored 21 points. Both teams are given 12 seconds to score. Once a team has scored a point, the other team can continue playing by dribbling or passing the ball. Once a team has been outside the two-point line, scoring is allowed again. Every score behind this two-point line is worth 2 points and a score within it is worth 1. This rule creates the dynamic and spectacular game which characterises 3x3 basketball. The SAM 3x3 is an official FIBA 3x3 World Tour basketball stand with an ‘Urban’ look. This basketball basket can be moved by just one person, is equipped with a SAM system, an anti-flick net and has extra thick and strong padding. The SAM 3x3 also has a patented 'dunk proof' glass board with Pro-Action breakaway dunk-ring and also has the option for a built-in 12-second timer. In short: this basketball system has everything you need to ensure an indoor or outdoor 3x3 event is a success. 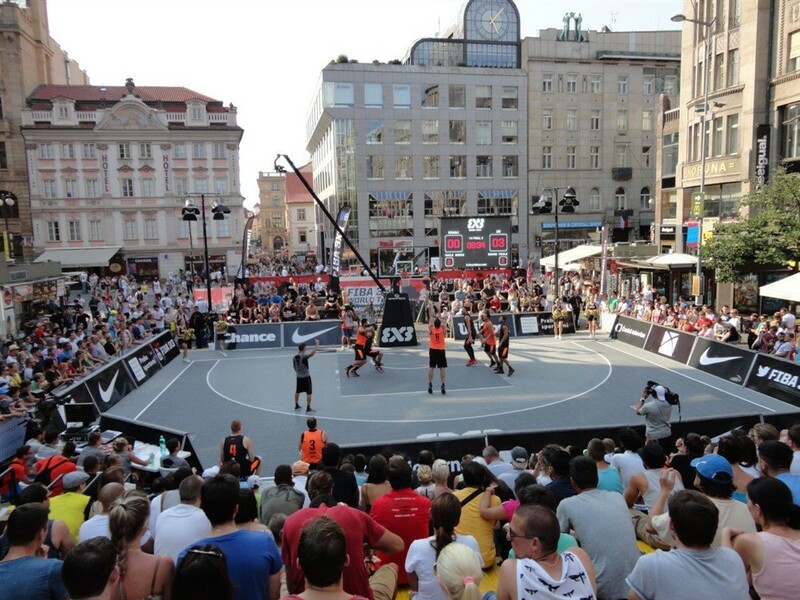 The 3x3 Street basketball system has been developed for anyone who wants to experience the ultimate 'street feeling'. It is quick to set up and can be set to three playing positions. An additional advantage is that the basketball stand can be stored easily in a compact storage position. The system is also ideal for outdoor events as the Side-Banners 3x3 Street and the safety padding can be kitted out with various logos and advertising. Branding can therefore be modified per competition. To move the stand, the Streetbasket 3x3 transport vehicle can be used. This metal transport vehicle hooks easily into the basketball stand from behind, allowing the 3x3 Street to be moved easily. Increase your chances of scoring with the Basketball Schelde Sports Street This durable and robust rubber street ball is ideal for 3x3 basketball and is the best quality. Already a fan of 3x3 basketball? Give it a try! 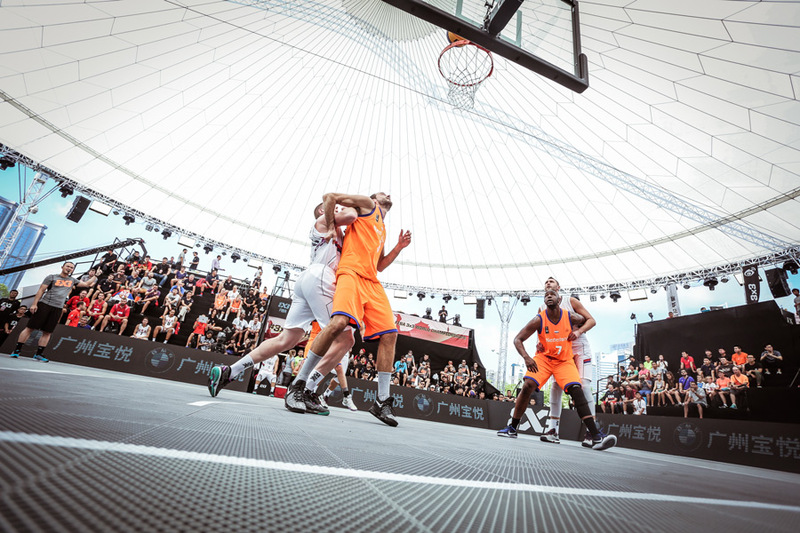 As a proud partner of FIBA, Schelde Sports was official supplier at numerous events, such as Rio de Janeiro 2016, FIBA 3x3 World Tour and the Youth Olympic Games Buenos Aires. In 2020, 3x3 basketball will be part of the Olympics.